Thrifty and Frugal Living: Free Flawless Diamond Stud Earrings (Just Pay Shipping)! Free Flawless Diamond Stud Earrings (Just Pay Shipping)! I have a promo code for you to get up to 3 pairs of Flawless Diamond Stud Earrings from Darcus Tori for free! You just have to pay for the shipping (it was $5.99 for 1 pair for me, around $10 for 2 pairs and around $14 for 3 pairs). 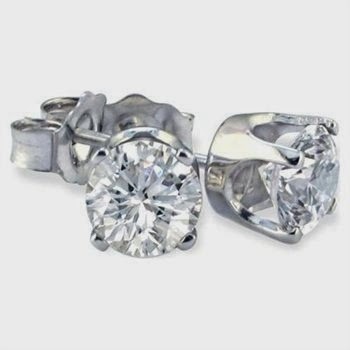 To get this freebie add the Flawless Diamond Stud Earrings to your cart and add the code 0704 to get them for free. They are regularly $59.95 each pair! I just ordered mine, $5.95 for 1 pair. Thanks so much! Thanks for posting! I ordered a pair to gift for Christmas. They had a heart shaped gift box for around $3, so my order total was $8.90 including shipping.